Founders Tom and Sally Jordan were maverick pioneers with a unique vision. They wanted to be the first to create a Bordeaux-style California Cabernet Sauvignon that was approachable while young yet aged gracefully. 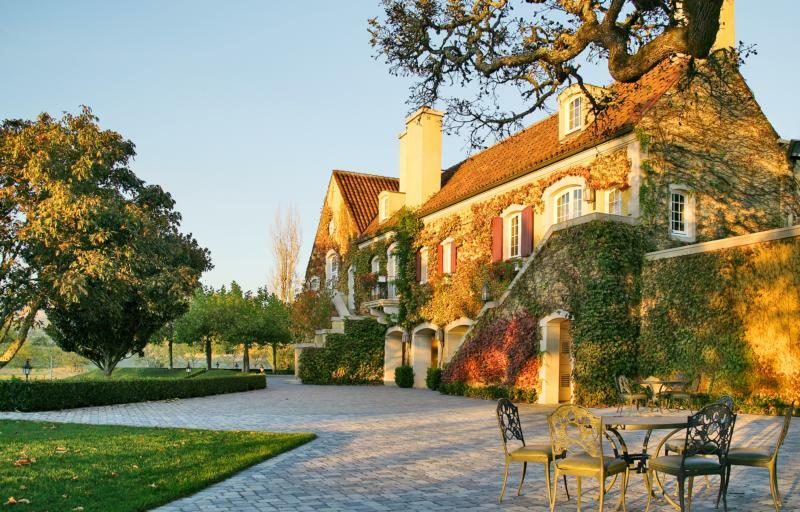 Located in Sonoma's Alexander Valley, the home for their wine would be an extraordinary chateau combining winemaking facilities, guest suites, and kitchen and dining areas under one roof. The couple set a standard for American wine quality and wine country hospitality--a top standard that is still held at Jordan today. Under the guidance of second-generation vintner John Jordan and Rob Davis, the winemaker whose hands have crafted every vintage of Jordan since the inaugural 1976, Jordan Vineyard & Winery continues to innovate and elevate through award-winning wines and hospitality. From advancements in fruit sourcing, oak aging, precision farming and conserving natural resources to diversifying agriculture and creating new visitor experiences at our Healdsburg winery, Jordan maintains a relentless quest to improve with every vintage. "A seamless wine, our 2007 vintage exudes beautiful, dense, blackberry aromas that echo through the mid-palate. The mouthfeel is silky-smooth with soft, round tannins accented by a vanilla quality from the French oak. The silky, soft finish is reminiscent in style of a Bordeaux Saint-Julien.